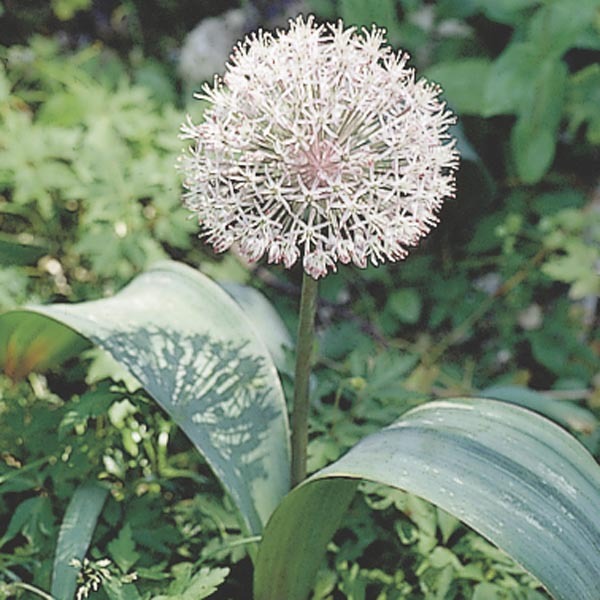 So wonderful and whimsical, it’s hard to believe this plant is in the onion family. Unlike its onion cousins, the foliage is broad and beautifully textured blue-green. The pale-pink flowers form perfect globes that create the effect of flower balls bubbling up in the garden. The blooms are long-lasting and continue to add interest even after the flowers fade. Perfect for rock gardens and planting in the foreground of mixed borders. A carefree selection for most locations. Prefers well-drained soil and is drought tolerant.